It will feature conference sessions, featuring thought leaders from the gaming, virtual reality, and entertainment media industries who will discuss industry trends and strategies. One of the keynote speakers is Cathy Hackl. From futurist to tech evangelist, to global and Emmy-nominated speaker, she’s known as a leader in the AR/VR industry. Also keynoting the event is Brian Mullins, a pioneer in the field of AR who has been on the forefront of the industry for over a decade. He is currently the founder and CEO of Important Design, a studio that brings together designers, engineers, and scientists that have unique experience in solving real-world problems with augmented reality. Plus, the expo features hands-on demos and interactive exhibits from creators across VR, AR, video games, and digital arts. Additional activities include workshops, gaming tournaments, and creator awards. General admission passes are available for $25. They include access to all exhibits, gameplay, sponsored workshops, and kickoff party. Pro Passes are currently discounted 25% off to $149 (Reg. $199). 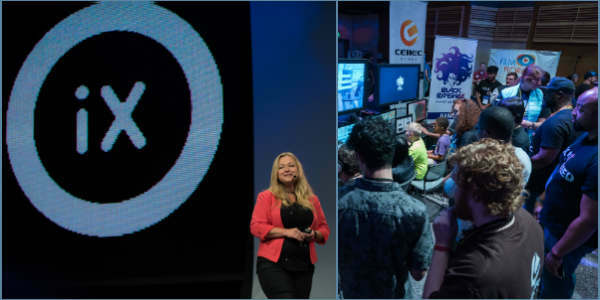 They include access to all activities including: conference, speaker presentations, workshops, greenroom sessions, exhibits, gameplay, and kickoff party. To purchase, or for more information, visit OrlandoiX.com.